Another princess dress! I’m still not ahead, but it’s not really a surprise. I haven’t had a lot of spare time this week and I’m just happy I finished this one! 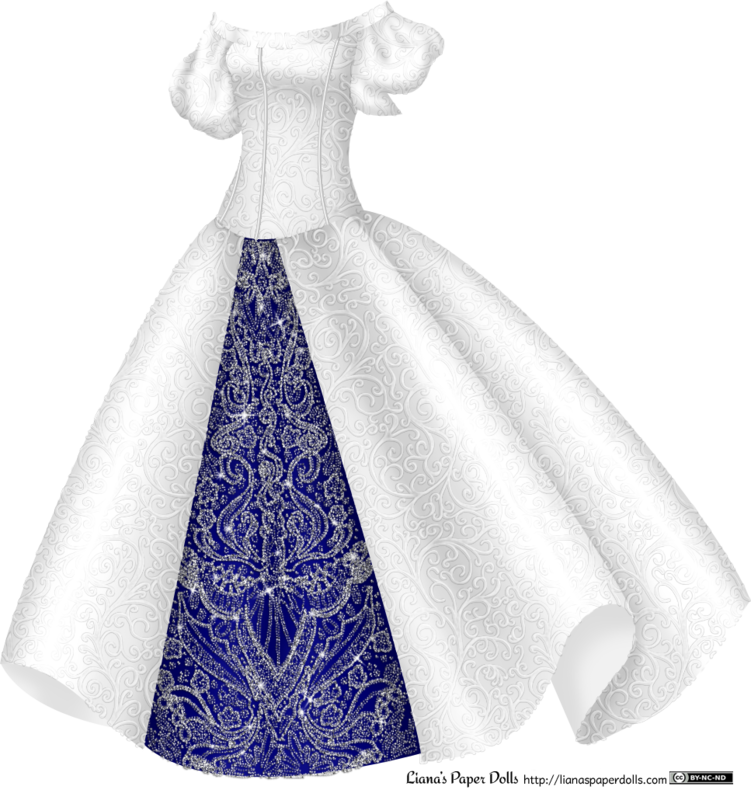 The design on the blue part is inspired by dresses I’ve seen on Pinterest like this blue gown. It’s the first time I tried this particular technique, I will probably use it often but refine it. I’m already wanting to change it on this dress, but… it’s time to post! Next week, another princess gown! (But I will have something fun lined up for October, as Halloween is traditionally the most important paper doll holiday in my little world…) Don’t forget that you can now download combined color and black and white PDFs of all of my 2014 dolls and outfits for free! Also follow me on Facebook, Twitter or Pinterest for sneak previews, paperdoll thoughts and lovely jewelry. If you enjoy my work, I’d also appreciate your support through Patreon. Here is how I would like the dress colored. 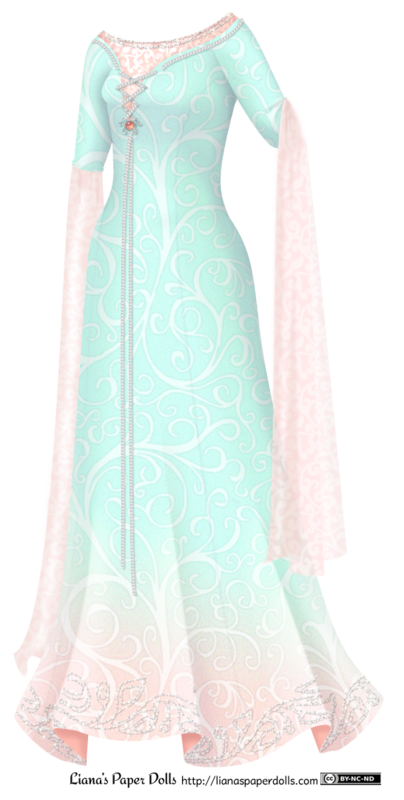 I picture the sleeves sheer and the dress done in soft pastel colors. My favorites would be peach and aqua. A delicate pattern of your choice would run through the dress. Thanks! I like doing these contests just for their own sake, but also because I think that it’s easy for me to stick to what I’m good at, and other people’s suggestions help me improve. 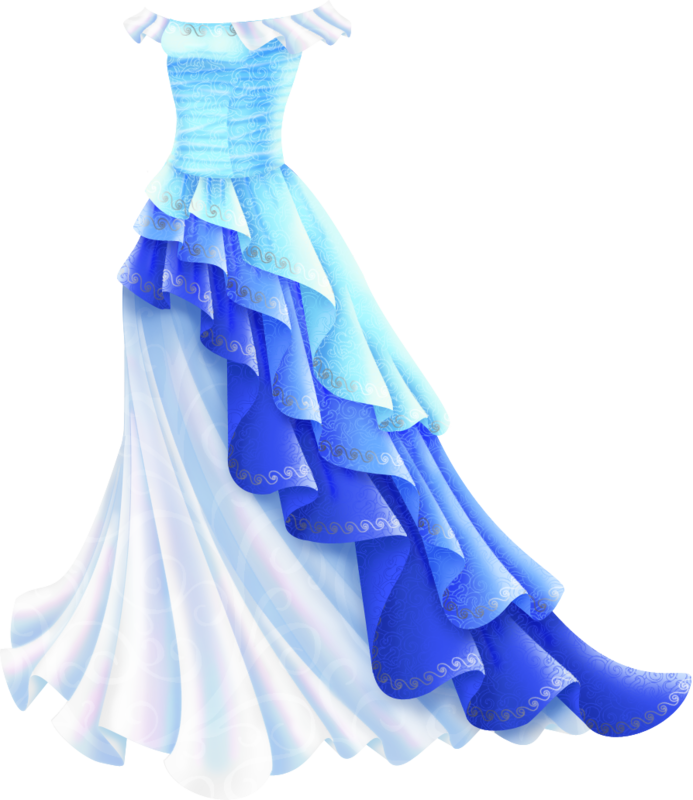 For example, I don’t think I really do a lot of dresses with this kind of light coloring, and I struggled to get the shading looking right. I still think I could have done better, but Friday is already upon me, and anyways I am pretty happy with this one overall! Next week will be a princess gown and some thoughts on princess culture. Don’t forget that you can now download combined color and black and white PDFs of all of my 2014 dolls and outfits for free! Also follow me on Facebook, Twitter or Pinterest for sneak previews, paperdoll thoughts and pretty illustrations. If you enjoy my work, I’d also appreciate your support through Patreon.